One thing to remember is that the Gita is the first—the most ancient of the scriptures to have examined the question of how to approach the truth. This is the first scripture to declare that there are different paths to the Supreme Being. 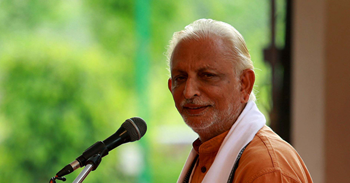 Each chapter of the Gita is a description of a different path. Nowhere, in the Gita, is it said that one path is better than the other. They are all different approaches meant for different kinds of people, depending on their ‘guna’.